Waxing Nostalgic is an ongoing series of articles shedding light on albums, bands and experiences from our past, that may have gone unappreciated, overlooked, or untold for too long. The first time I heard Skalpel, I thought they were a legitimate polish jazz outfit. 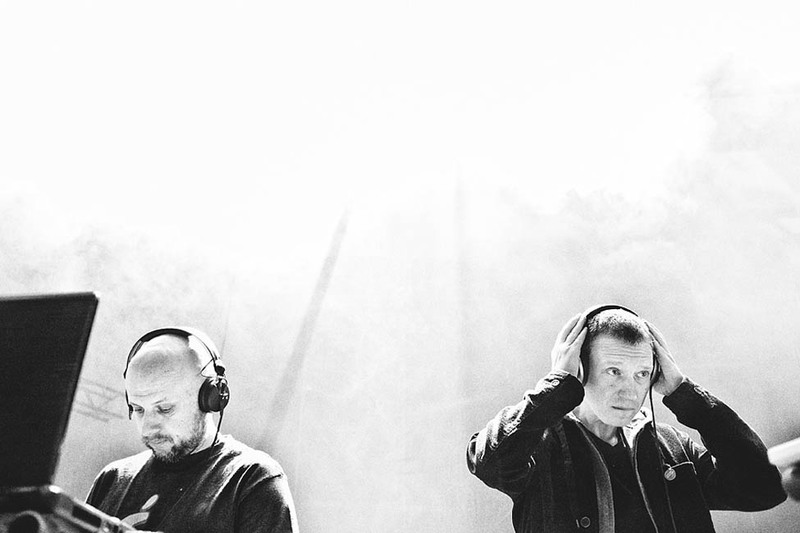 It was probably around the summer of 2005 when I first pressed play on their self-titled record – which had been released by Ninja Tune in April of 2004, a few years after DJ Vadim discovered the duo (and their major collection of polish jazz LPs) while on tour. This wasn’t the electronic music that I was used to – earlier that year I had developed a voracious appetite for anything released on the aforementioned label, cutting my teeth on seminal releases by Coldcut, Amon Tobin and more. I was smack-dab in the middle of my college career, and currently living alone in a fairly roomy, relatively cozy dorm room. I bring this up, because though the recommendations of my best friend Tim, I was mostly listening to this new-to-me genre of music in that Christmas-light adorned dorm. The break-beats of Amon Tobin soundtracked my nights of short film editing in Final Cut Pro, but at times his music could be a pinch overwhelming. Bonobo‘s first two albums were doing the trick quite nicely around this time, but when I stumbled upon the music of Marcin Cichy and Igor Pudlo as Skalpal, I was swept away as soon as I hit play. I had yet to dive head-first into the world of jazz – my classical phase had begun, but jazz would come a year or so later – so hearing “High” for the first time was a revelation. The drums and bongos echoed off invisible walls, chimes drew me in deeper, and a distant voice – not singing, but chanting – made way for woodwinds. The arrangements made sense on a physical level to me, as loose and unpredictable as they were. But that’s just it, for a moment, I thought I was listening to a real live jazz band. This element of Skalpel’s sound is a hindrance for some. Allmusic had this to say: “Though the record includes a lot of worthy music, it does raise the question of who deserves credit for it, Skalpel or their sample victims? Perhaps Ninja Tune should have followed the lead of Stones Throw and presented a retrospective of Polish jazz instead of allowing Skalpel to sample at will.” This is a classic take-down of sample-based music, and one that you’ve surely heard over the years. Can something new, created from “bits and pieces and patches, mixed together, kind of in a mixed, homogenized way” still be, well, new? Of course it can. Cichy and Pudlo have taken stretches of polish jazz – looping a drum beat here, lifting a flute stab there, overdubbing shakers everywhere – to create a kind of cold-war era, black and white film soundtrack; there’s a reason why their music videos are mostly dusty, smoky and colorless visions – they suit the music perfectly. And the inclusion of the original soloists in the liner notes – as Skalpel do lift whole solos wholesale from time to time – makes everything transparent while maintaining a naturalistic feel to the music. As Amon Tobin and a few other Ninja Tune artists were chopping and screwing sounds until they were near incomprehensible, Skalpel kept things airy, organic, and at times unruly; it was refreshingly primal, in many ways. It’s no surprise really, that Skalpel hit me as hard as they did at that point in my life. Hidden within the record was an amalgamation of my emerging tastes; again, at this time I was attempting to be adventurous, swearing off any leftover High School musical prejudice in an attempt to sift through genres I had previously swept aside (“I’m into everything but Rap and Country!”). My discovery of hip-hop a few years earlier allowed me to appreciate Skalpal’s beats as pure head-nod fuel, and having dipped my toe into the chillout/trip-hop pond, I was ready for even the most subdued tempos. Skalpel sent me on a journey down the rabbit-hole of jazz, and for that I’ll forever be thankful. But don’t mistake my high praise as a nostalgia trip – I find myself revisiting their work again and again throughout the years, and it all stands up. I must have slept a thousand naps while listening to their self-titled album – a statement I say with high praise for the group – and Konfusion (released in 2005) only furthered my obsession. They even re-emerged in 2013 with an EP of new material on Plug Audio Records. Skalpel’s two full-lengths are masterpieces of the genre in my opinion, and both deserve to be dug up and discovered by vinyl-heads for years to come – much like Cichy and Pudlo dug up all those polish jazz records in the first place.